I show you MORE homes for sale in Irvine than Trulia or Zillow. Here you'll see only ACTIVE, ACCURATE listings, so you won't get frustrated by checking out Irvine properties that sold weeks or months ago. After a couple of visits, you'll find my easy-to-use precise Irvine Home Search will become your #1 Irvine real estate tool. Discover homes for sale in Irvine that you can buy TODAY. 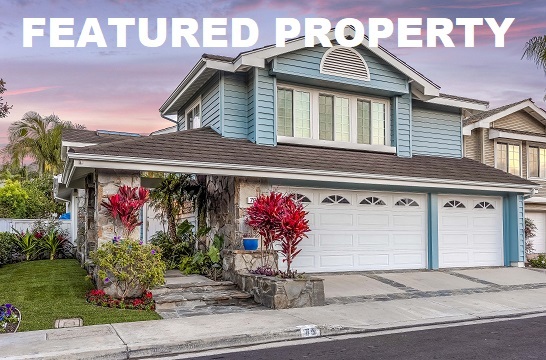 All listings are updated as they become listed in the Orange County MLS. My exclusive email alerts bring properties to you as soon as they appear - giving you an advantage over other buyers. Register Today to receive daily alerts on properties you like and homes that fit your search criteria. Learn how the Home Buying Process works. My passion is Irvine real estate and helping buyers and sellers in the 26 Irvine areas, (also known as villages). Sure I list and sell properties in other cities, close to Irvine, Orange County, but most of my time is spent helping people who are either selling their Irvine homes or looking to buy one of the homes for sale in Irvine OC. The Irvine areas are: Airport Area, Columbus Grove, Cypress Village, El Camino Real, Great Park, Laguna Altura, Northpark, Northwood, Oak Creek, Orangetree, Orchard Hills, Portola Springs, Quail Hill, Rancho San Joaquin, Stonegate East, Stonegate, Turtle Ridge, Turtle Rock, University Park, University Town Center, Walnut, West Irvine, Westpark, Woodbridge, Woodbury East and Woodbury. Irvine is in demand for househunters because of a few reasons. One of factors drawing buyers to Irvine is that it has been ranked by the FBI as the safest U.S. city with a population of more than 100,000 for 10 years in a row. Irvine's Elementary Schools are Alderwood, Bonita Canyon, Brywood, Canyon View, College Park, Culverdale, Cypress Village, Deerfield, Eastshore, Greentree, Meadow Park, Northwood, Oak Creek, Plaza Vista, Portola Springs, Santiago Hills, Springbrook, Stone Creek, Stonegate, Turtle Rock, University Park, Vista Verde, Westpark and Woodbury. The Middle Schools in Irvine are Jeffrey Trail, Lakeside, Plaza Vista, Rancho San Joaquin, Sierra Vista, South Lake, Venado and Vista Verde. The Irvine High Schools are Irvine, Northwood, Creekside, University & Woodbridge. Click HERE to watch a short video about Irvine. I'll guide you through the process with knowledge and experience. Buyers pay nothing to work with me, and I don't let them overpay. Latest Irvine Listings - Updated Daily! Some things to think about when choosing your Irvine home to retire in. Looking to Upgrade Your Irvine Home? Now’s the Time to Move-Up!